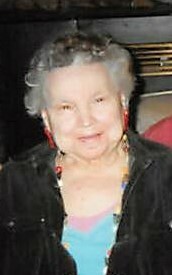 Thelma Mae (Moyer) Derstine, 89, Detroit Lakes, MN went home to be with her Lord and Savior on January 29, 2019 at Essentia Health in Detroit Lakes. Funeral Services for Thelma will be held on Tuesday, February 5 at 7PM in David Donehower Funeral Home, Detroit Lakes, MN. Visitation will begin at 5PM and continue until the time of services. Thelma Mae Derstine was born February 4, 1929 in Franconia Township, PA to Wilson and Sally Moyer. She grew up with three brothers: Willis, Marvin and Mahlon and three sisters: Eva, Arlene and Lizzie (who passed away at a young age). Thelma was united in marriage to Durell Derstine in Hatfield, PA on March 23, 1946. Over the years they were blessed with five children: Ronald, Dennis, Charlotte, (Cheryl Diane who passed away as an infant), and David. They moved from PA to MN as missionaries in 1953 to the White Earth Indian Reservation and lived in the Strawberry Lake area for 17 years. In 1970, they moved to rural Detroit Lakes. Our memories of Mom include her love for her family, her grandchildren and friends throughout the years. She was a wonderful cook, especially when she made her Pennsylvania Dutch recipes. She enjoyed going to town shopping with her daughter Charlotte. She spent a lot of time doing yard work and tending to her flower beds that she would decorate with solar lights and ornaments. Summer months brought family picnics and she always enjoyed the 4th of July fireworks. Mom often visited friends in the nursing homes where she would sing and play her guitar for them. She always was kept busy, from taking care of grandchildren, to cleaning cabins part time, she was never afraid to try new things, she was fearless! Mom enjoyed watching Nascar Racing on TV…(probably because of Ronald). More recently as her health permitted her from being active, she always looked forward to our weekly Sunday gatherings, as her children brought over a good “home cooked meal” for all to enjoy. Love you Mom!! Thelma will be missed by her children and their families all from the Detroit Lakes area. She was preceded in death by her husband of 72 years, Durell, one daughter: Cheryl Diane along with her parents and six siblings all from Pennsylvania.